Many industrial applications require use of a Projection Weld Screw that will provide a hermetic seal to protect against leakage of water, oil, air, or gas. This weld screw is ideally suited for such applications. It features a 360° ring projection that provides a strong and durable weld joint. The full ring projection is extremely versatile and enables cross-wire welding as well as welding to a variety of surface shapes and materials. 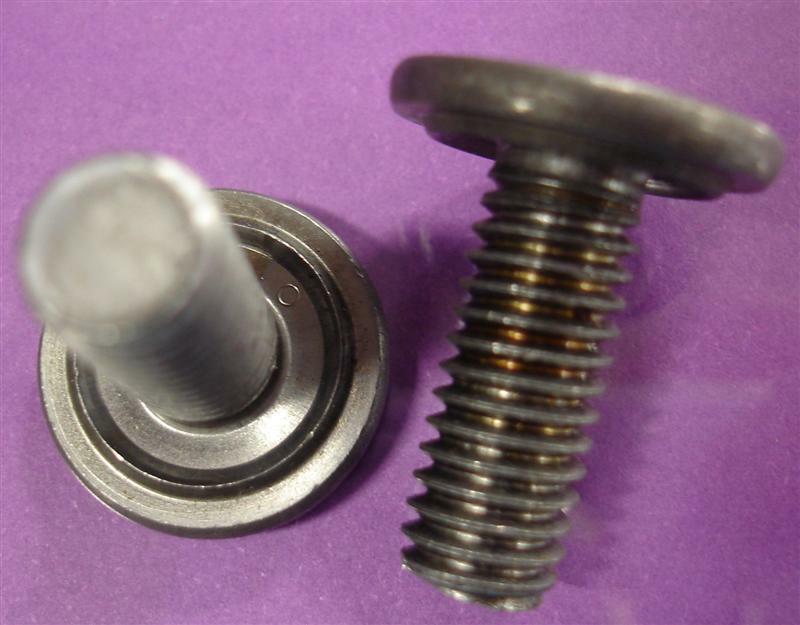 These industrial fasteners are available from JHP Fasteners in a variety of materials, dimensions and thread sizes (inch and metric). When properly installed, this projection weld screw will provide a strong hermetic seal to protect against leakage of water, oil, air, or gas. This makes this industrial fastener a popular choice within the refrigeration and air conditioning industries. The 360° ring projection provides an exceptionally strong circular weld joint and is ideal for cross-wire welding. It can also be welded to perforated metal surfaces. For applications that require a weld screw that can also function as a strong hermetic seal, this projection weld screw is an ideal choice. The circular weld joint that it provides ensures that the resulting weld will be strong, well-balanced, and durable.